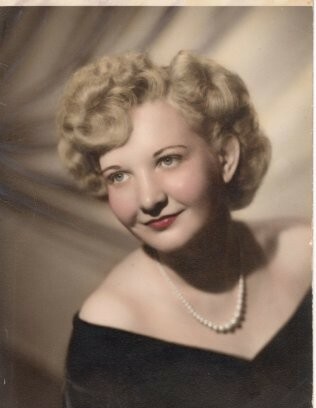 Ruth E. (Deacon) Sefton, 93, died Tuesday, March 19, 2019. A lifelong resident of Holyoke, she was born June 12, 1925 to the late Albert and Ruth (Inglis) Deacon. For many years Ruth served as an Administrative Assistant at the Holyoke Soldier’s Home, retiring in 1983. Ruth leaves to mourn her passing, sister, Ethel Shippey (George) of Stockbridge, MA; daughter, Robin R. Tierney (Michael) of Westfield; sons, Jeffrey G. (Terry) of Lunenburg, MA and Mark A. (Mary) of Westfield, along with many grandchildren, great grandchildren, nieces and nephews, all of whom will miss her love of family and great sense of humor. Besides her parents, Ruth was predeceased by her husband, Alfred B. in 1999, son, Russell in 1969 and sister Esther Dubilo. Calling hours will be held on Monday, March 25, 2019 from 11:00 a.m. to 12:30 p.m. at the Barry J. Farrell Funeral Home, 2049 Northampton Street, Holyoke. Burial will be held at a later date. In lieu of flowers, donations may be made in Ruth’s honor to the Friends of the Holyoke Soldiers Home, P.O. Box 1338, Holyoke, MA 01041.